In the overnight hours of July 25-26, 2018, unknown suspect(s) broke into a construction trailer that was on a job site in the 1200 block of S. Cunningham Rd, which is located east of Salina. The suspect(s) cut a lock and stole numerous tools, including a Dewalt drill; a Bosch chipping hammer; a Bosch drill; a Bosch framing gun; and several Bostitch tools to include a coil nailer, finish nailer, brad nailer, stapler, and a Crown stapler. A suspicious truck had been seen by witnesses in the area on July 4. The vehicle was described as a late ’60s or early ’70s Ford three-quarter ton pickup truck, possibly light gray or light green color. The vehicle had been occupied by two white males, described as 18-20 years of age. It’s unknown if the vehicle and occupants are suspects in this burglary, but the Sheriff’s Office would like help in identifying them. Total loss is estimated to be more than $2000. 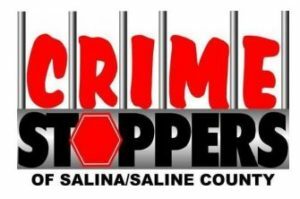 Crimestoppers at 825-TIPS, text SATIPS to CRIMES (274637), or visit www.pd.salina.org and follow Crimestoppers link to submit a web tip. You may receive a cash reward of up to $500 and you are not required to give your name.